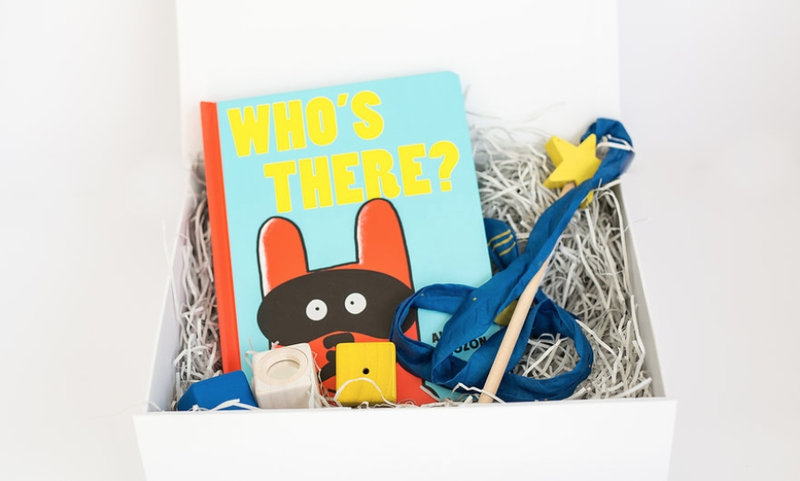 “Who’s There?” an innovative, interactive book which has been handpicked by the lovely Jenny over at Smallprint to complement the learning opportunities in this box..
Three wooden activity blocks from Plan Toys – one tactile, one auditory and one visual. 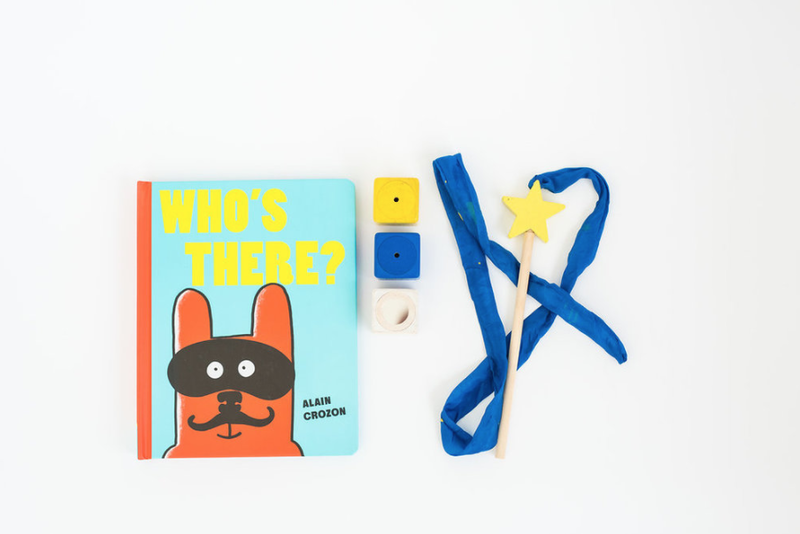 A star silk streamer to encourage movement and delight your Little Explorer. A Duck Twister from Plan Toys – a fun challenge for Little Explorers to explore and a great way to develop fine motor skills.